Getting the GTIN is often a matter of getting the barcode details from the product itself. 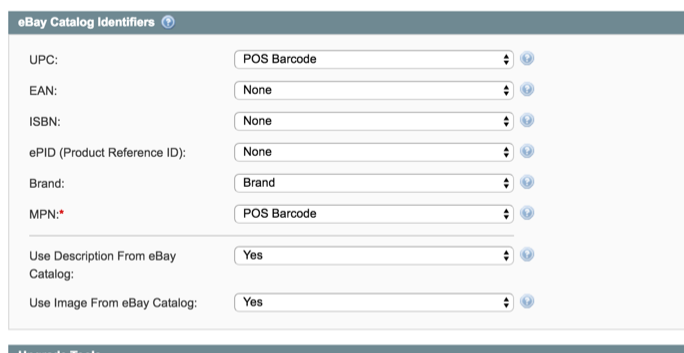 If your products are stored in a 3rd Party Warehouse and you don't have immediate access to the details, you can utilise the UPCitemDB to locate your product data. Add the new custom field / attribute into your data feed. In M2EPro, the setting for Product Identifiers is a little bit hard to locate: It’s under Listings -> Edit Settings -> Selling(tab) -> Description but as per the Google requirements, this information must first be setup and available from the products themselves.